We’re giving away an EF tour worth $20,000 to one lucky school. And why shouldn’t it be yours? Enter to win below. "Many of my students had never traveled internationally before. The trip allowed them to get out of their comfort zones and see how different countries and cultures live day to day." 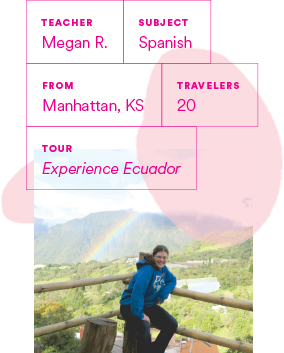 Megan, a K-12 Spanish educator teaching in Manhattan, KS, recently won a free EF educational tour worth $20,000. 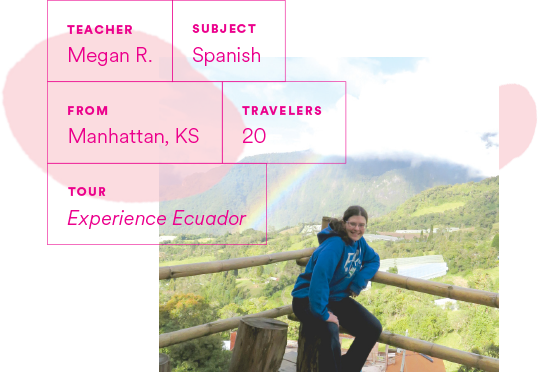 She took her students to Ecuador and caught up with us upon returning home to share her experience. When I first received the call from EF stating that I had won their scholarship giveaway, I was dumbfounded. I had stumbled upon an ad for the contest and entered my information thinking, “why not?” but I never actually thought I would win. Once the initial shock began to fade, I excitedly began researching trips. It didn’t take long for me to settle on the “Experience Ecuador” tour. While pursuing my bachelor’s at Kansas State University I developed relationships with several teachers who were participating in a program called “Go Teacher.” The program brought native Spanish-speaking English teachers to KSU where they took classes in teaching and English. Jorge Mauricio Since Vera is one such friend—native to Ecuador. We are still in contact to this day and my students Skype with him during class. This trip afforded them the opportunity to not only meet Jorge in person but to experience his country and culture. 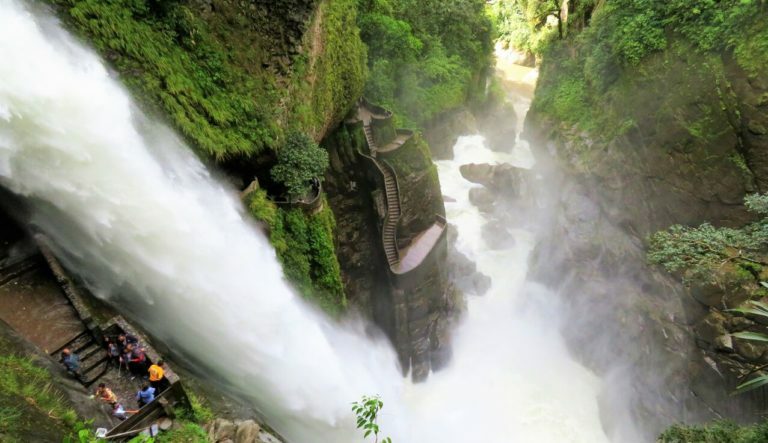 This, in combination with the ability to use U.S. currency, the temperate weather, and the packed itinerary visiting nearly every key region of Ecuador over the eight days, made choosing Ecuador a no-brainer. Many of my students had never traveled internationally before. The trip allowed them to get out of their comfort zones and see how different countries and cultures live day to day. My students came back more aware of diverse backgrounds and perspectives—I no longer need to explain cultural differences to them because they have personally experienced them. 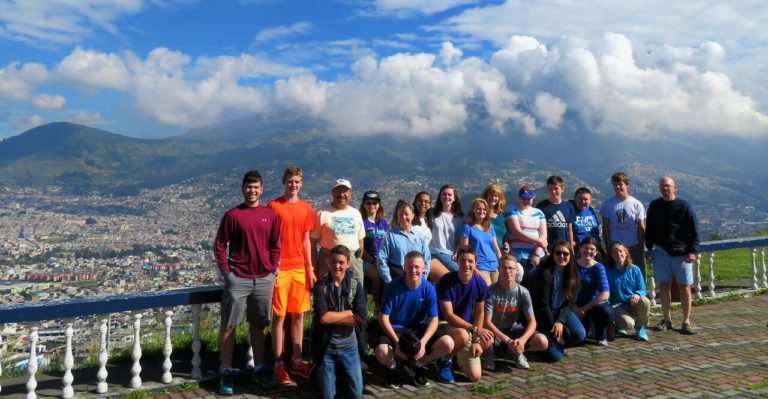 Beyond cultural appreciation, students gained a deeper understanding of language—specifically Spanish. They returned with an expressed interest in traveling again and a renewed motivation to apply themselves in the classroom. One of the highlights of our trip to Ecuador was definitely our time in Cuenca. We stayed in a hotel that was a very fun experience for our students—located just a few blocks from la Plaza Abdón Calderón in the heart of the city. 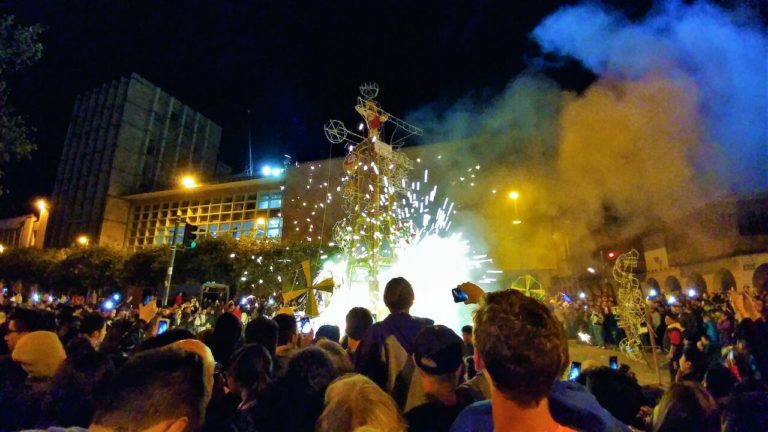 We had the once-in-a-lifetime chance to attend the last night of Corpus Christi and see el Castillo and the fireworks up close. We ate dinner one evening with a local family, took salsa lessons, visited a local school, and toured key historical sites including several churches—one with an old stone basement via a trap door! 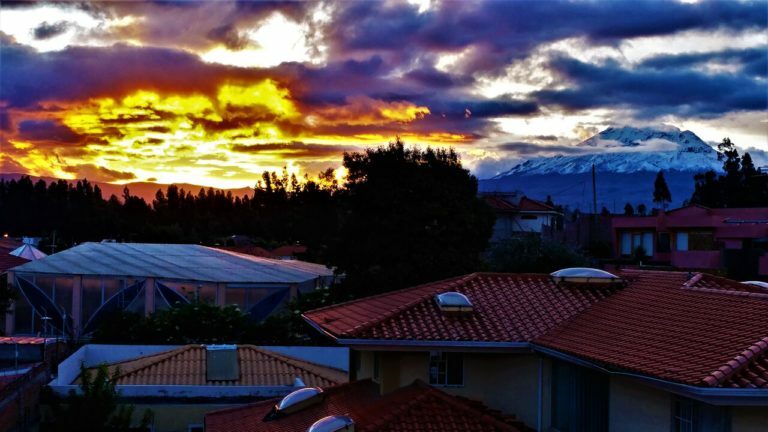 We had the opportunity to truly witness life in Ecuador as travelers not just tourists. This trip gave me invaluable experience as a teacher and as an individual. I was able to remain behind in Ecuador for a few extra days exploring on my own, which meant the world to me. I got to take off my teacher hat and really explore the country for myself. It also was quite the boost to my Spanish conversational skills—things have “clicked’ since traveling that have made speaking Spanish become automatic. It filled me with a passion for travel and I am looking for our next student trip opportunity! Ready to start your school's travel story? Real people actually win this thing. This trip gave me invaluable experience as a teacher and as an individual. I was able to remain behind in Ecuador for a few extra days exploring on my own, which meant the world to me. I got to take off my teacher hat and really explore the country for myself. It also was quite the boost to my Spanish conversational skills—things have “clicked” since traveling that have made speaking Spanish become automatic. It filled me with a passion for travel and I am looking for our next student trip opportunity!